Dutch designer Tord Boontje decided to go green with style and developed this series of glassware — tranSglass — from recycled bottles. 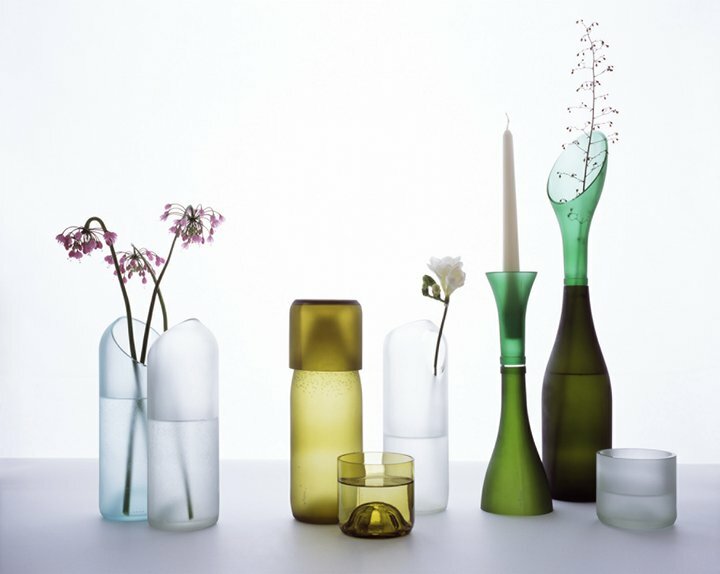 Empty bottles become vases and candleholders. A diagonally-cut bottle is turned into a jug. The bottom half of beer bottles become drinking glasses.